If you live on the east coast, you are probably still digging out from the blizzard. We got somewhere in the neighborhood of 30". I know these big winter storms create all kinds of problems, but it truly is a winter wonderland out there. Be safe and warm. And have fun!!! 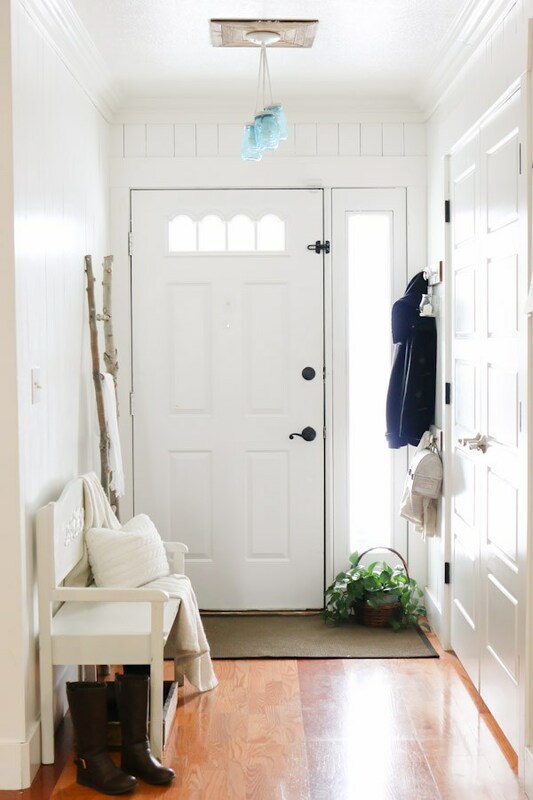 I love the light, fresh and inviting feel of this entryway from Cami at Tidbits! 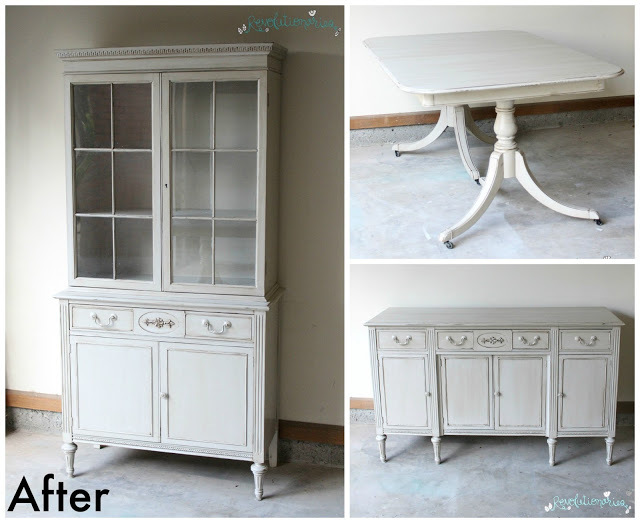 This gorgeous hutch was a wonderful thrift store find that got a makeover just before the holiday season. 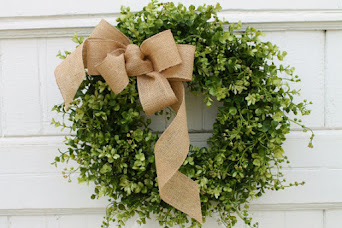 Now Barbara from 21 Rosemary Lane has it beautifully decorated for winter! 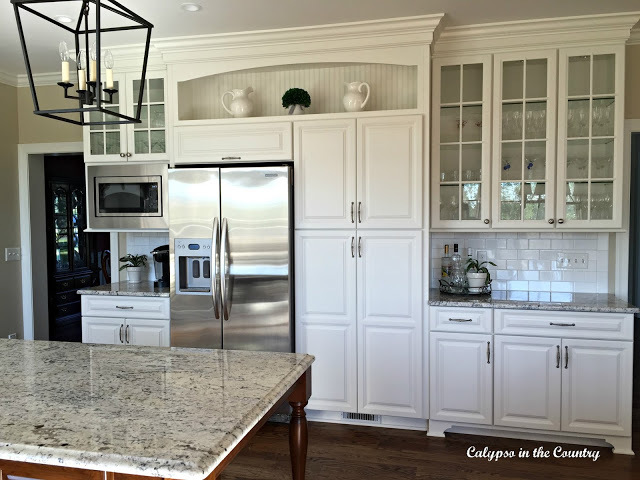 Shelley from Calypso In The Country has a beautiful new white kitchen and it will knock your socks off! 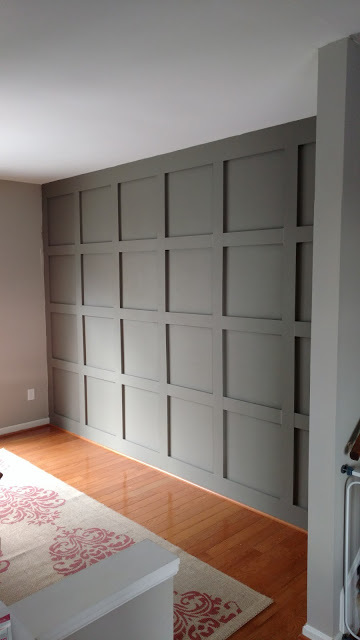 The completion of this gorgeous new dining room wall was interrupted by a drill incident that required a trip to the emergency room - ouch! 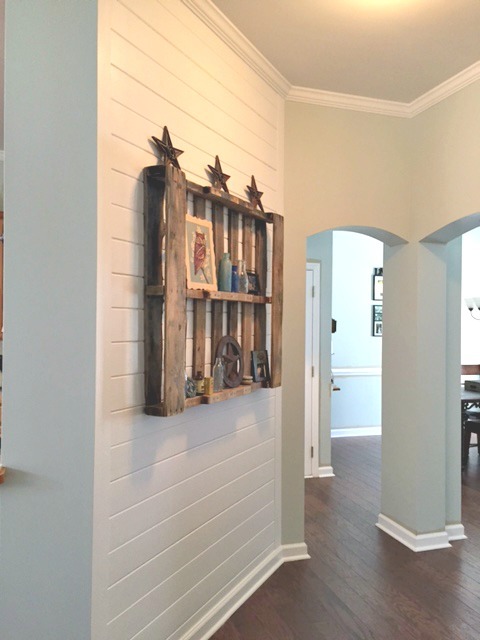 But the end result from Megan and her handy husband Rob at Our Pinteresting Family is fabulous! You will love the way Joan from Scavenger Chic transformed a pair of mismatched metal filing cabinets! 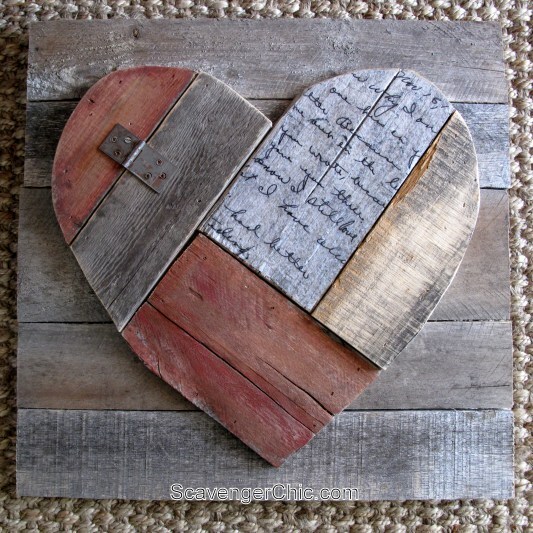 I also think Joan's Rustic Pallet Wood Valentine Heart is just adorable! These DIY mercury glass pedestal bowls from Master Pieces Of My Life are just so pretty and thrifty too! 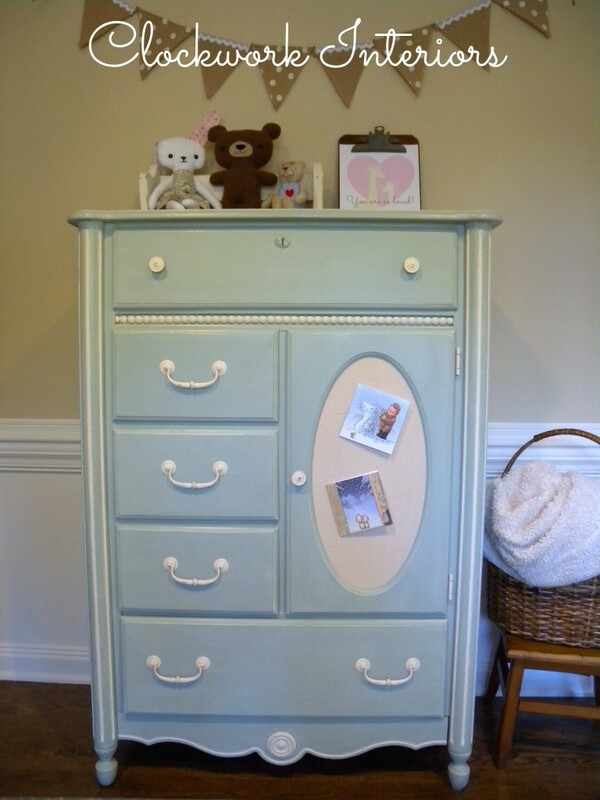 How sweet is this playful dresser from UpwithFurniture! And Cynthia from Clockwork Interiors shared this darling child-size cabinet! 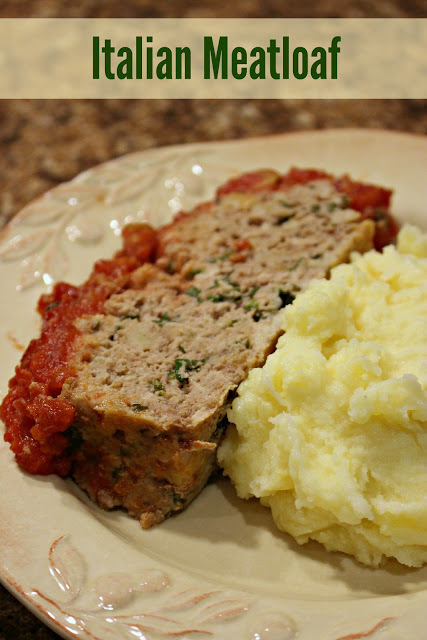 Meatloaf and mashed potatoes are comfort food in my book and this recipe for Italian Meatloaf Florentine from Jenn's Random Scraps sounds wonderful! I love the refreshing taste of lemon, so these Lemon Cupcakes from Don't Sweat the Recipe are totally calling my name! And seriously, these One-Bowl Brownies from Gina at Kleinworth & Co. look so decadent, delicious and pretty too! A possible big snow for the end of the week, bring it on! 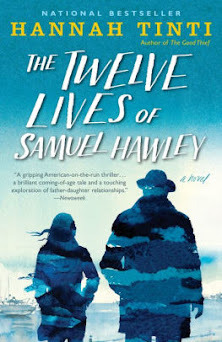 We did see some snow flurries over the weekend and I was lucky enough to share the moment with a sweet little girl who giggled as snow flakes stuck to her eye lashes. Ahh, it really is the little things that touch your heart! 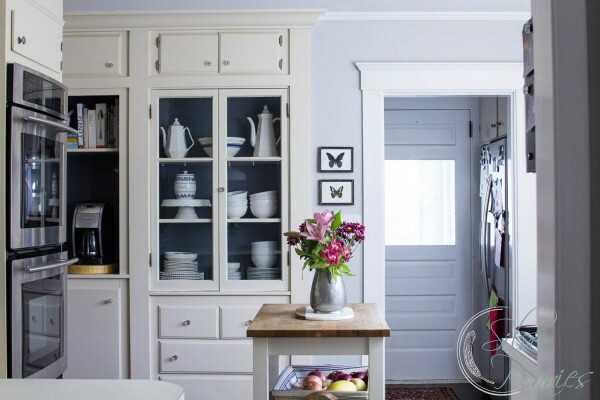 Danielle from Finding Silver Pennies took her kitchen from yellow to gray and the result is simply stunning! Are you loving ship lap? 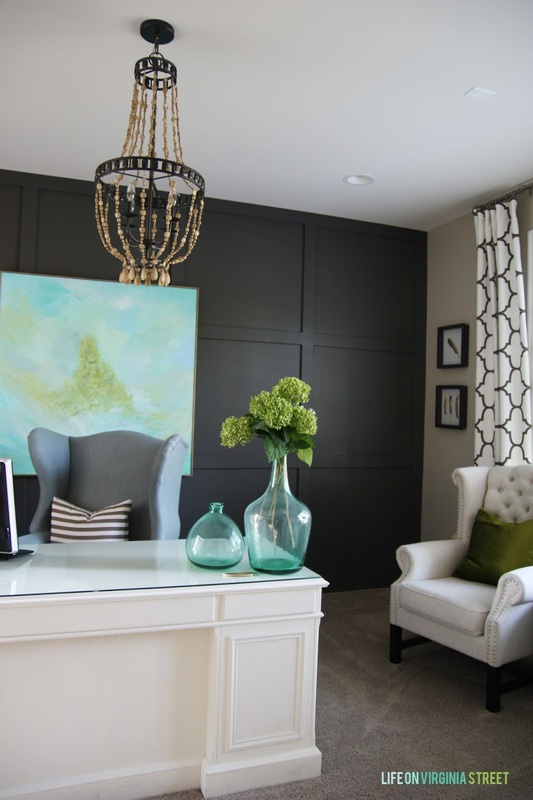 Chelsea from Married Filing Jointly made a ship lap wall her first project of the year! 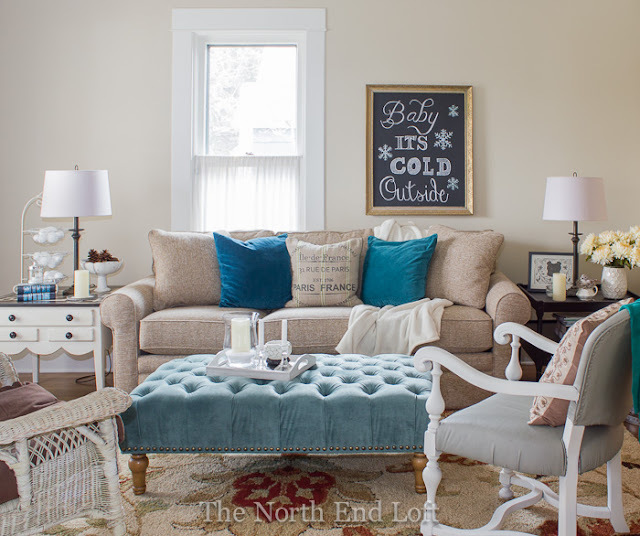 Laurel from The North End Loft gave her home a warm and cozy feel for winter with a shades of white and a pop of turquoise - so pretty! 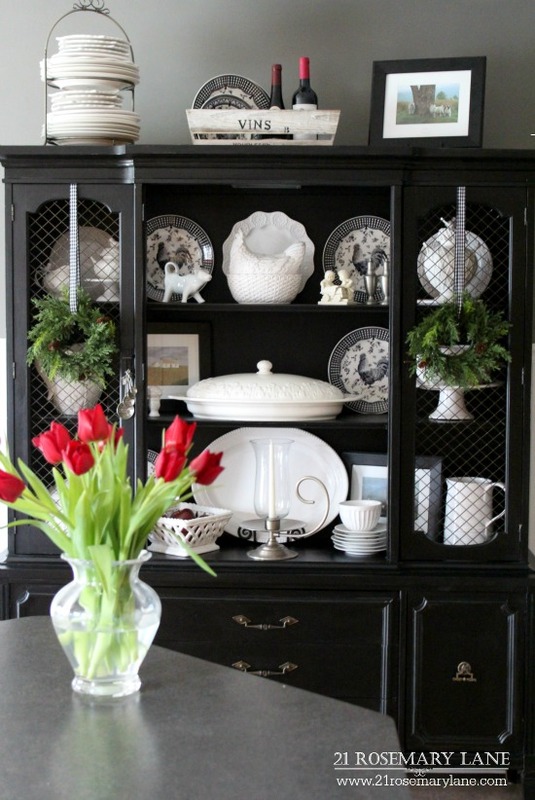 This beautiful dining room update in my favorite shade of black comes from Ashley at Vintage Refined! 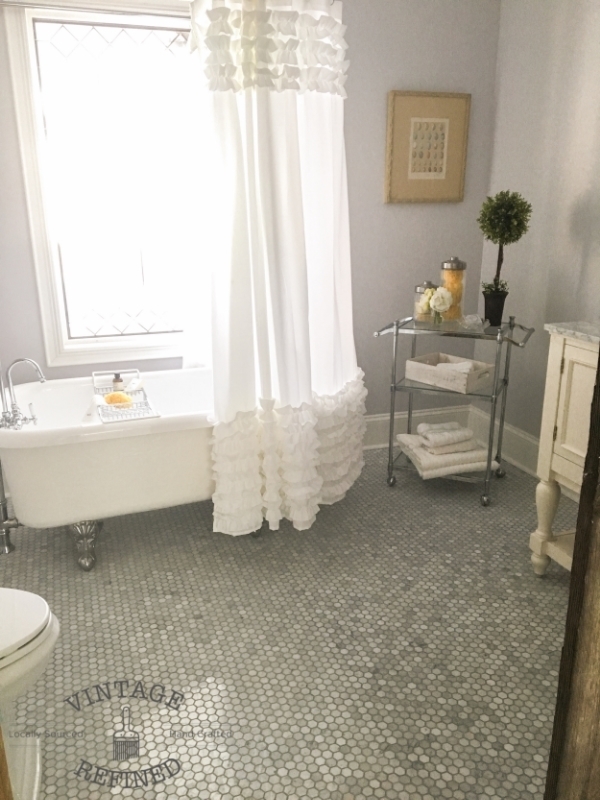 And check out Ashley's fabulous bathroom makeover - a total transformation! 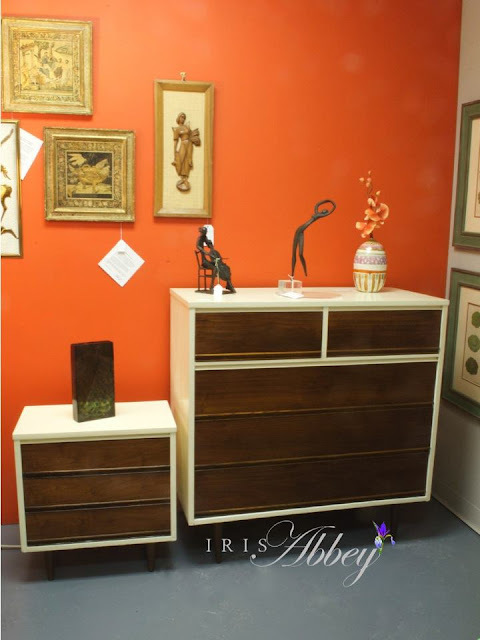 Ann Marie and David from Iris Abbey shared these beautiful MCM pieces along with all the details on their super smooth finish! 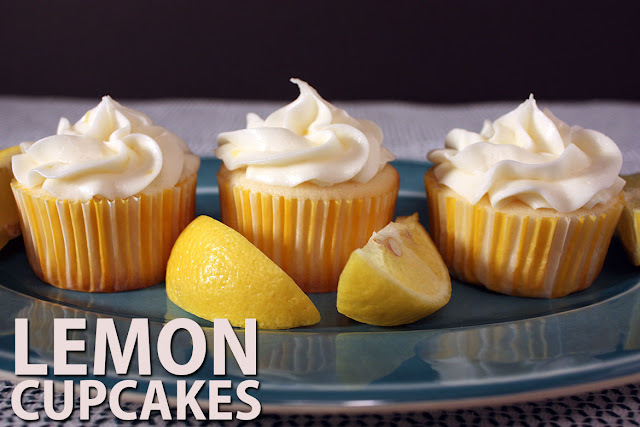 Looking for a unique treat for someone special on Valentine's Day? 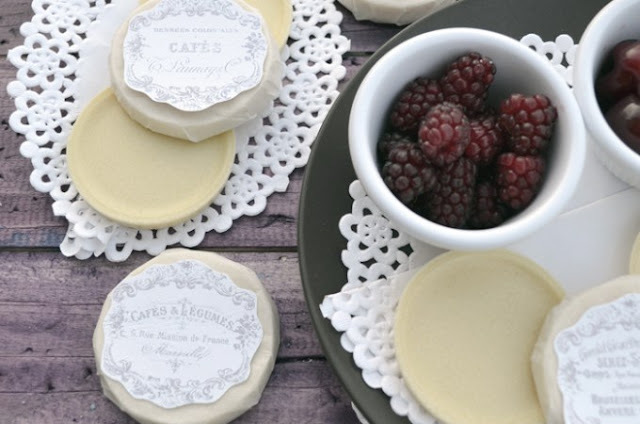 Dreams Factory shared these beautiful homemade Vegan White Chocolates and shared lovely labels for them too! Oh baby, it's cold outside! I'm going to keep warm carrying all those Christmas tubs down the basement steps. Yes, I've been having a hard time letting go of the holidays this year! Ann from Farmhouse Blues Interiors shared this striking naval inspired desk! 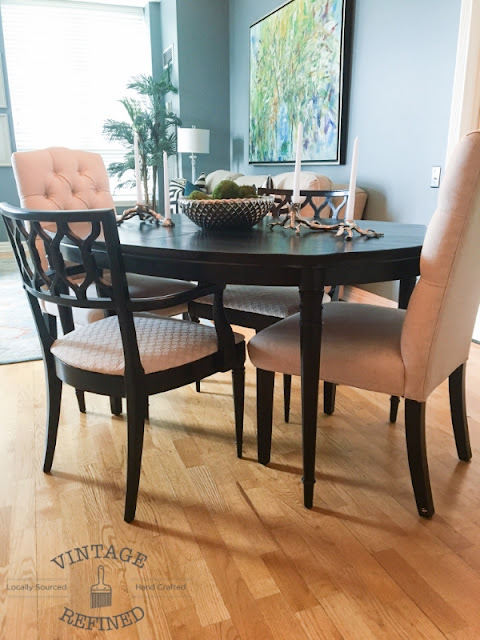 This dining set was already beautiful, but got a fresh new look with a little paint and glaze from Bonnie at Revolutionaires! 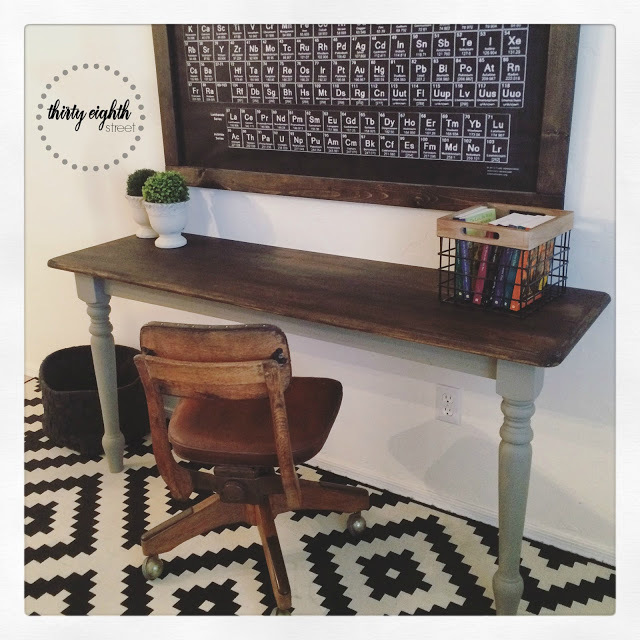 Two homework stations were created from one worn out farmhouse table over at Thirty Eighth Street - how cool is that! 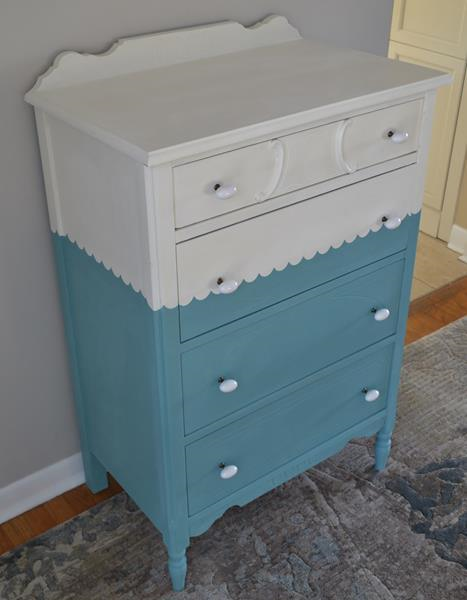 Head over to Mary Beth's Place for a roundup of inspiring furniture makeovers! 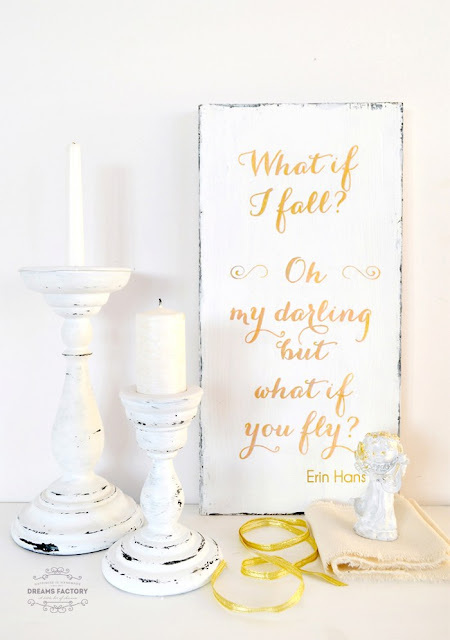 This shabby gold inspirational sign from Dreams Factory features one of my favorite quotes! 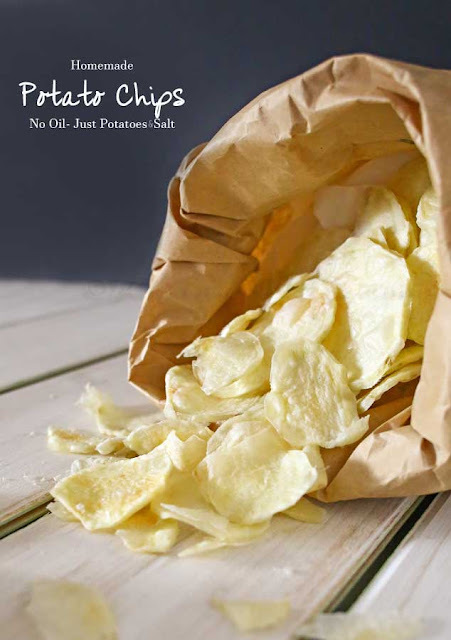 These homemade "no oil" potato chips from Gina at Kleinworth & Co. are a healthy snack option for the new year, super easy to make and look absolutely delicious - crunch! 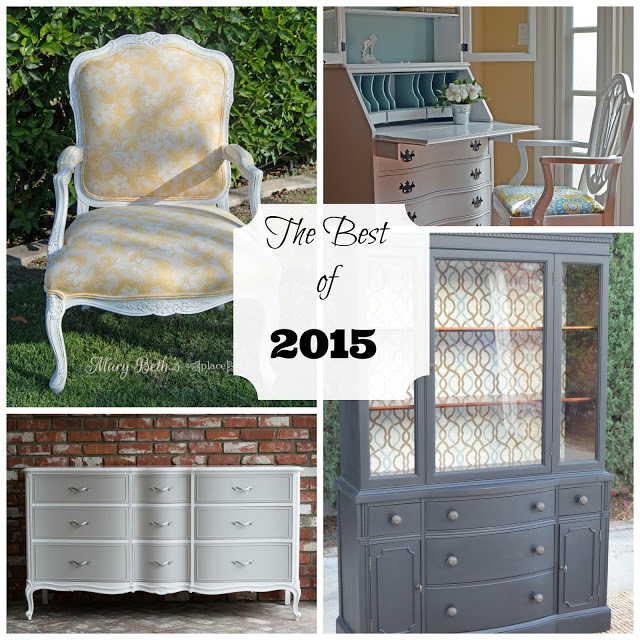 And The Honeycomb Home shared a fun post. Roxanne asked eight design bloggers to share their thoughts on what design trends will be hot this year and which trends are on their way out. I'd love to hear your predictions! And just like that, it's a brand new year! Are you feeling relaxed, rejuvenated and ready to take on new projects. Or are you taking it a little slower and thinking about your dreams and goals for the new year? 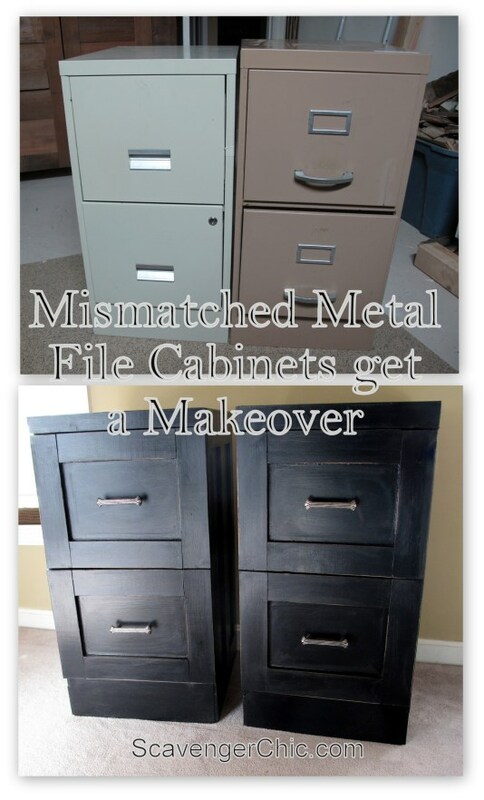 January is definitely my month to regroup and reorganize! 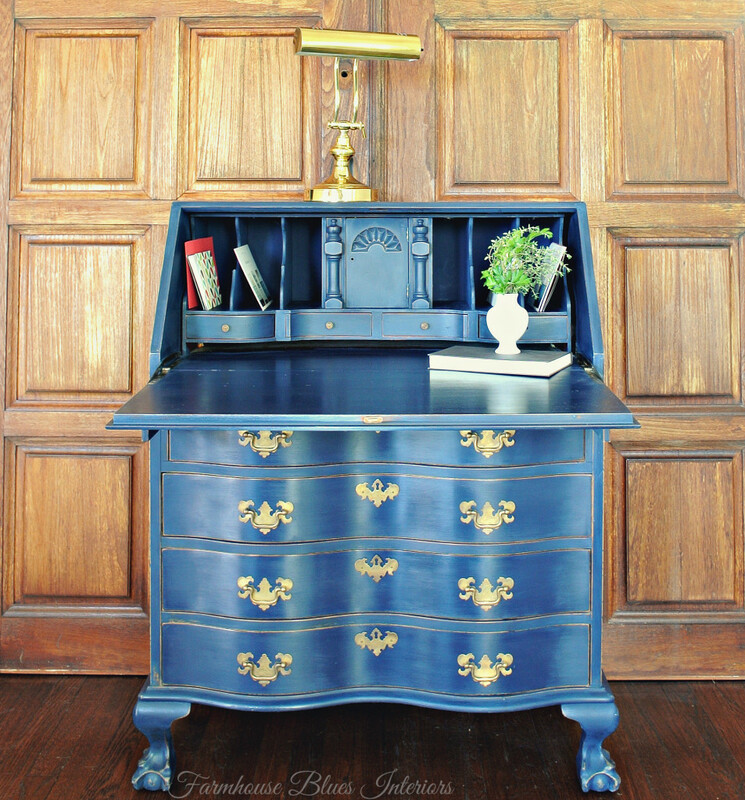 Our tag sale schedule, my Etsy shop and keeping up with real life kept be especially busy last year. There is no quick fix to finding balance. 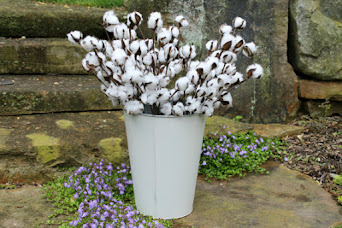 And as a result, the blog took a bit of a back seat. Hopefully I'll get back to a more regular posting schedule this year, we'll see how that goes. But in the meantime, I really enjoy seeing all the creativity, projects and recipes that you all share at the link party each week, so thanks so much for being here! Our last link party was filled with fabulous holiday house tours and Christmas projects - be sure to check it out - lots of great ideas to pin for next year! 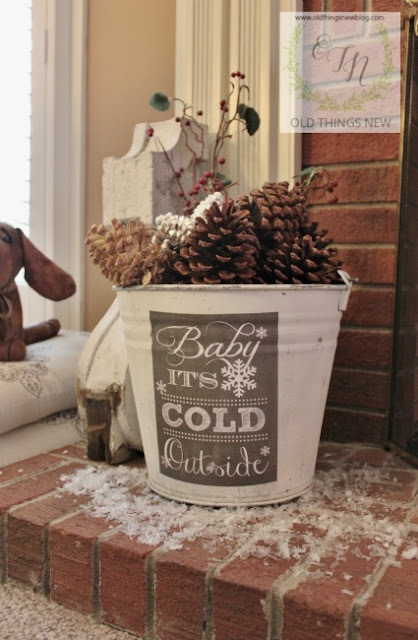 How super cute is this chalkboard hearth bucket from Patti at Old Things New! 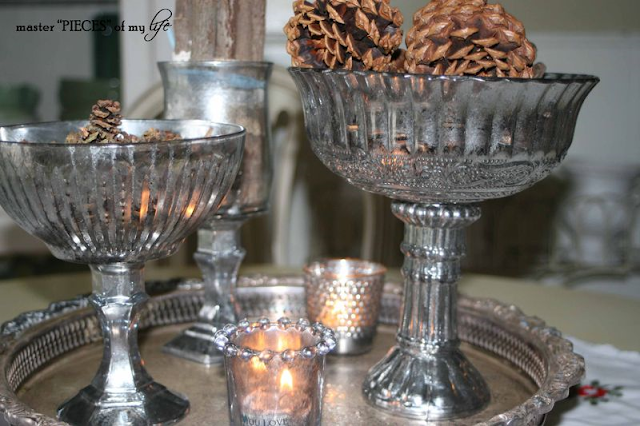 What a fun winter project! 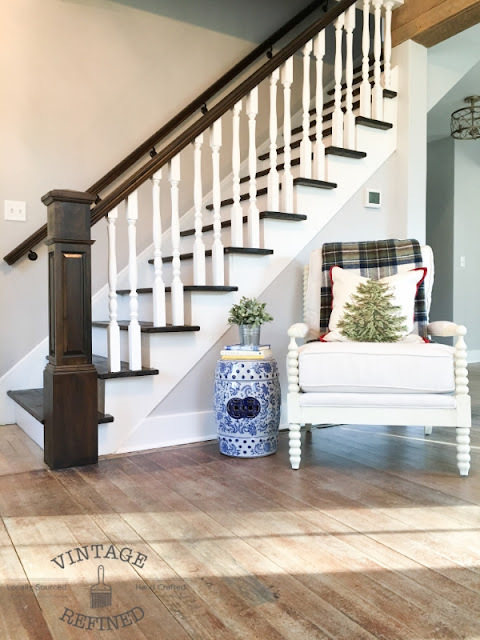 Love this beautiful staircase makeover from Ashley at Vintage Refined! 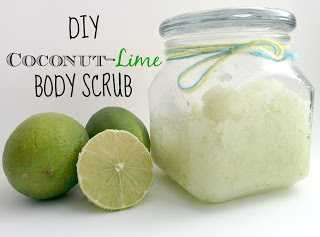 This DIY Coconut Lime Body Scrub from Shehla at Shehlagrr would be a real treat for winter skin! 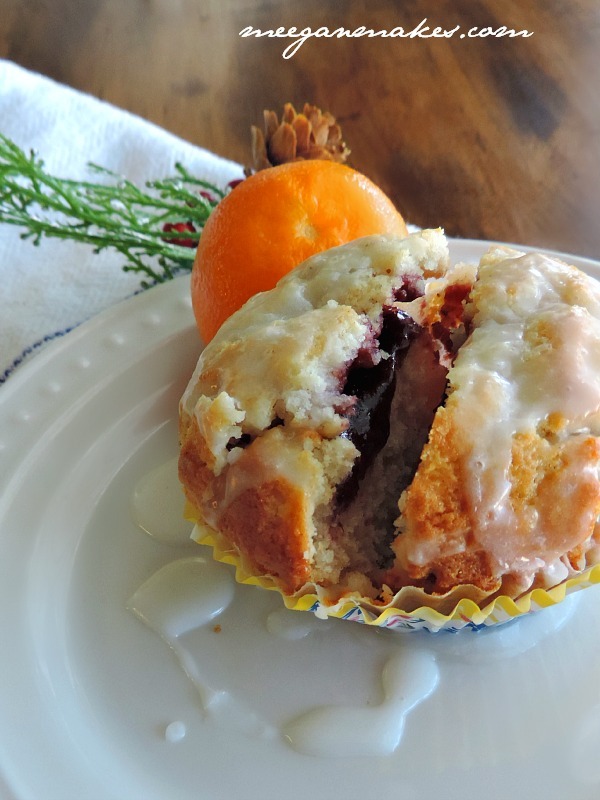 What Meegan Makes shared these Raspberry Filled Muffins that would be such a treat for breakfast, especially on a cold winter morning! 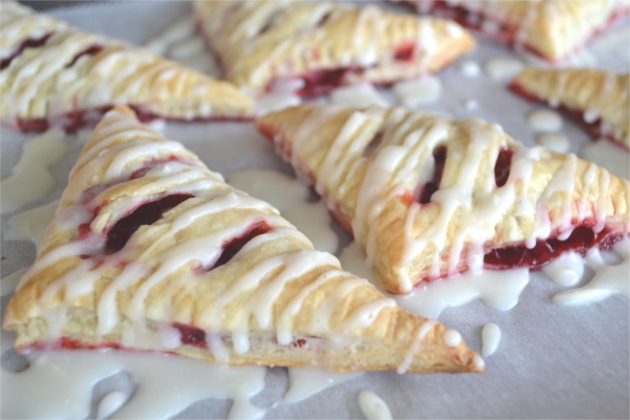 These pretty Cranberry Turnovers are from Robin at Fluster Buster! 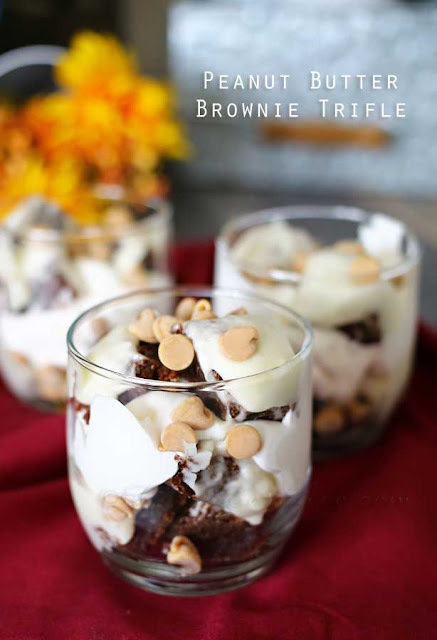 And how sweet are these Peanut Butter Brownie Trifles from Gina at Kleinworth & Co!